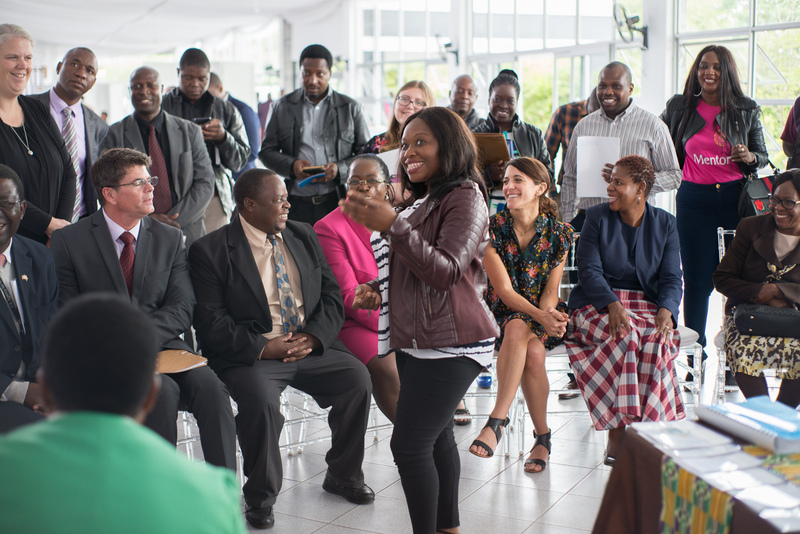 Harare, Zimbabwe - On November 29th, 2018, the Bantwana Initiative of World Education, Inc. hosted a close-out event in Harare to celebrate the accomplishments of the 6-year Vana Bantwana program that supported orphans and vulnerable children in Zimbabwe. With funding from USAID/PEPFAR, the program successfully reached more than 600,000 orphans and vulnerable children and their caregivers through an integrated approach of strengthening systems that support children at the community, district, and national levels. Launched in January 2013, the program was designed to support the Government of Zimbabwe’s efforts to improve the lives of OVC and those affected by HIV and AIDS. Implemented in all 65 districts, Vana Bantwana had an extensive impact across Zimbabwe. Through innovative programming in the areas of health, education, child protection, economic strengthening, gender-based violence, and youth and livelihoods. the program brought together multiple government and nongovernmental partners. In total, more than 500,000 children received critical health services, including 11,000 children who were initiated on HIV care and treatment. The program provided educational scholarships for over 50,000 children, including 2,300 children with disabilities. More than 30,000 families participated in income saving and lending (ISAL) group trainings to improve their economic resilience. The program also empowered 300,000 children to identify and prevent gender-based violence and provided gender-based violence response services, including medical, legal, and psychosocial support. Working in Zimbabwe for over 10 years, first through the Children First project (2008-2012) and then through the Vana Bantwana project (2013-2018), the Bantwana Initiative has been collaborating closely with the Government of Zimbabwe to develop a national case management system and strengthen bi-directional linkages and referrals to pediatric HIV testing and treatment and gender-based violence prevention and response programming. To ensure that communities continue effective interventions beyond the life of the program, Vana Bantwana built the capacity of more than 30 local NGOs and CBOs to implement and manage the various models of care.